Custom printed re|UUSI eco friendly paper cups offer an alternative choice of double-wall cup. 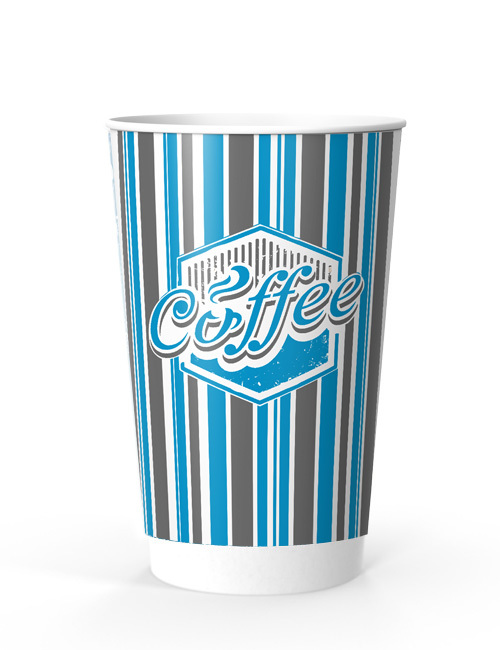 The special Mineral EarthCoating® cuts down the amount of total plastic used by over 40% so that all non-paper matter easily separates in paper pulping plants. 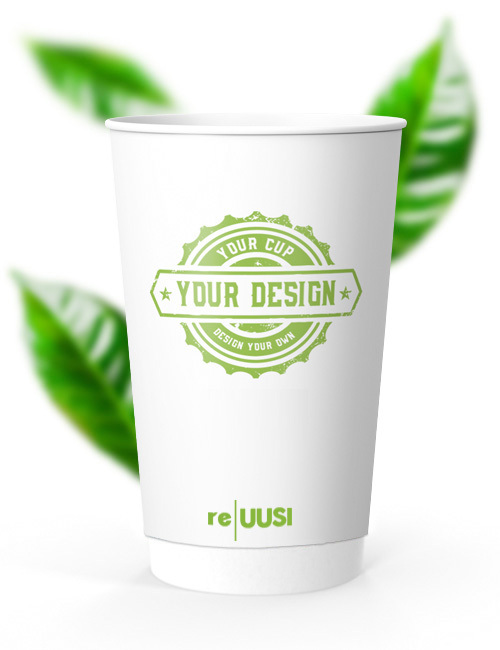 CupPrint re|UUSI cups’ double-layer structure works almost identically to regular double wall paper coffee cups, offering more than adequate insulation, reducing the need for sleeves. 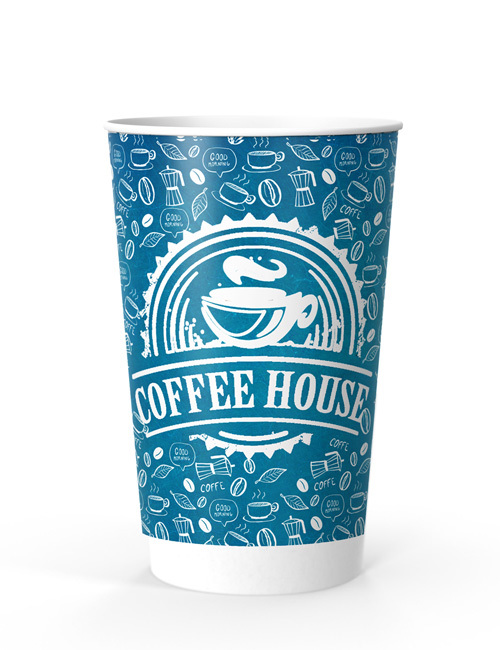 With the usual high-quality, high resolution customised printing quality and waterproof barrier of all our printed paper cups, now you can choose a showcase for your brand that can go in regular paper bins. Only 1000 pcs. min. order qty. 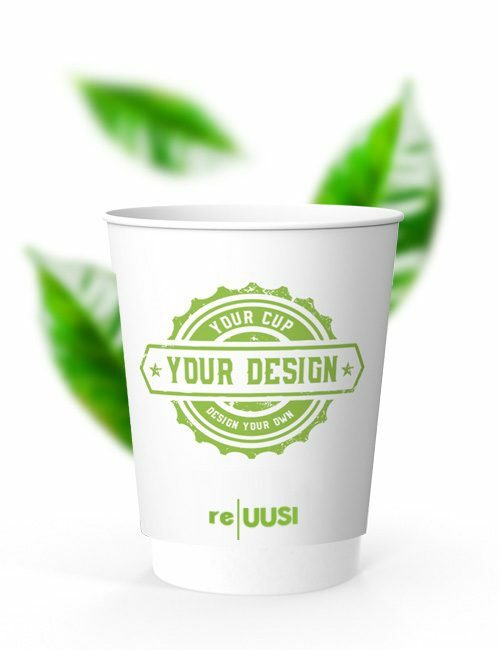 Place your custom order today and receive your perfectly 16 oz Double Wall re|UUSI custom printed eco friendly cups with 14 days. Minimum 1,000 units. 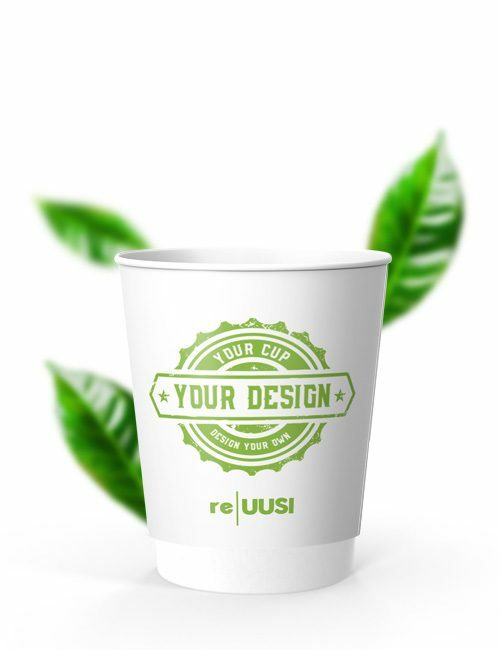 Start marketing smart and contributing to the Earth with CupPrint’s 20 oz Double Wall re|UUSI Cups. Better marketing. Cleaner globe. 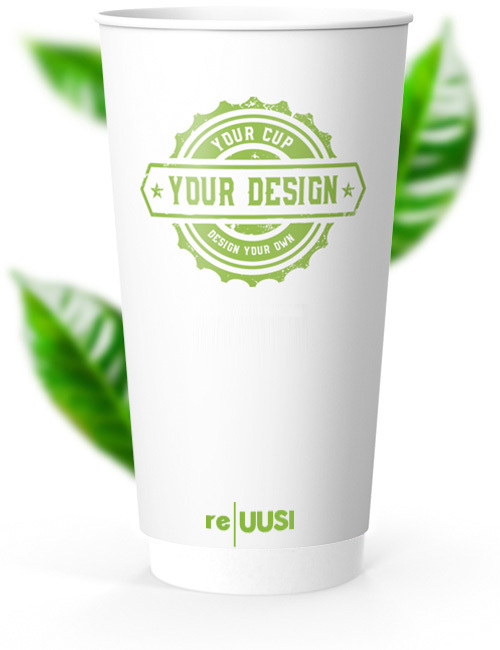 For your individual Double Wall re|UUSI 16 oz design we provide you here our rectangular template as PDF for download.